White New Yorkers are people identified or identifying as white or primarily Caucasian or of European ancestry in the state of New York. The United States Census Bureau defines white people as those “having origins in any of the original peoples of Europe, the Middle East, or North Africa. It includes people who reported “White” or wrote in entries such as Irish, German, Italian, Lebanese, Near Easterner, Arab, or Polish.” New York was founded by the Dutch and has sizable populations of Italians, Jews and other immigrants. Some New York families like the Vanderbilts and Livingstons have been settled in the state since its beginnings. The White – New York population data represent DNA samples from 71 Caucasian (White American) individuals in the state of New York. Samples were provided by the Armed Forces Institute of Pathology, the New York City Office of the Chief Medical Examiner, and the Suffolk County (N.Y.) Crime Laboratory. Racial and Ethnic History of New York City. 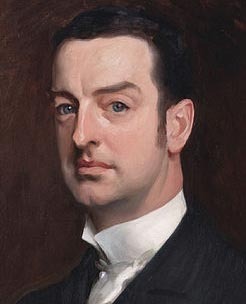 Photo: American tycoon and socialite Cornelius Vanderbilt II, painted by John Singer Sargent. Wikimedia Commons.